It’s a story seldom told. But Rhobi, a 12-year old Tanzanian schoolgirl, sees her own experiences as a powerful tool to help others. And so she shares them with an audience of children, parents and community elders through stirring student theater performances, strongly opposing the traditional practice of Female Genital Mutilation (FGM). This wasn’t always the Rhobi people knew. She grew up shy and introverted – with the timidity often demanded of many Tanzanian girls. But her transformation was ignited last year, when, at aged 11, her parents demanded she prepare herself for FGM – a circumcision ritual that typically precedes a marriage proposal from an older man. Used by men to control and limit their wives’ sexual pleasure, FGM has marred girls’ bodies for centuries – threatening their health, their lives, and often, their ability to give birth safely. 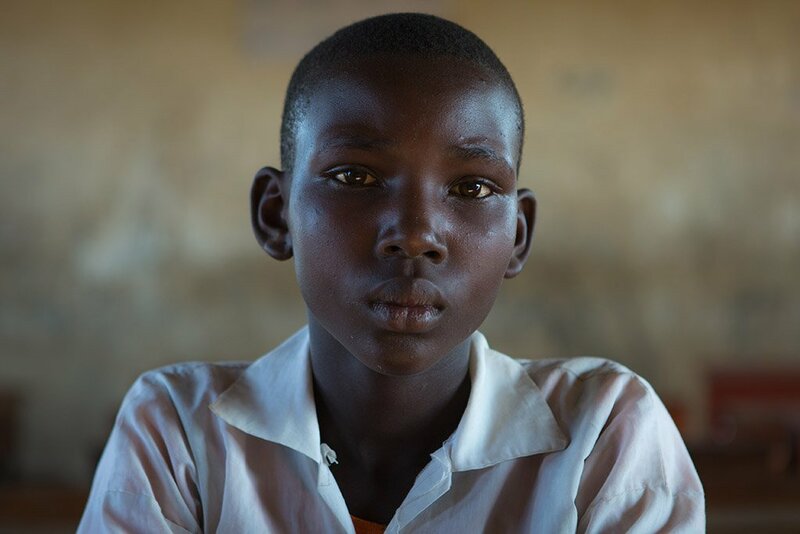 Filled with anguish, Rhobi hoped to avoid the ancient custom – a conviction made even stronger when she joined her school’s Right To Play child rights program. Here she learned about FGM’s drastic impacts – leading to misery, pain and even death for thousands of young girls. She also learned that she had every right to stand up to her parents. Enlisting the support of her teachers and mother, Rhobi tried to shift her father’s thinking. “I am too young to get married,” she insisted, but fearing community pressure, he dismissed her protests. Dreading the inevitable, Rhobi resorted to running away from home, but her father tracked her down and forced her to complete the ceremony. “The pain and confusion were terrible.” Rhobi remembers. “How could they have done this to me?” Her body forever scarred, Rhobi swore that her younger sister Ghita would never be cut. Employing confidence-building and communications skills she’d learned through Right To Play, Rhobi became her sister’s champion. Allied with her teacher and mother, she convinced her father of the dangers of FGM, arguing that “Ghita could die from infection, or possibly even become infertile”. Having provoked dramatic change in her own family, Rhobi continues to rise up for girls’ protection, performing and telling her story to families, school committees and influential leaders. Every day, her personal truths are inspiring more girls to reclaim their bodies, own their joy, and take charge of their destinies. See below to view Rhobi's illustrated story!